Invite your students to learn about the country of Mexico – a country of contrasts. Bring out a map or globe and show the students where the country lies. Mexico City, the most populated city in the western hemisphere, is very modern and looks very much like our big cities in the United States. However, many smaller towns and villages, by contrast, are very different. In the rural areas you may see children riding a burro to school, versus a city school bus like here. Life is simple in the country. Mexico has further contrasts in the land and climate. It has mountains, jungles, and deserts. Some places are very hot, others cool. While some areas are very dry, others are wet and rainy. Every village has a plaza (town square) with fountains and flower beds. It is usually surrounded by a church on one side and government buildings and shops on the others. Open air markets sell goods in the plaza on weekdays. Fiestas (festivals) are celebrated in the plaza and include parades, music, and fireworks. Vendors stroll the area selling popcorn, fried bananas, flowers, and balloons. Mexican families area very loyal and religious. Extended families live close together in barrios (neighborhoods). The houses are built around patios (courtyards) where most family activities are held. Children go to school in the mornings, just like we do, and come home to help with chores in the afternoon. The Mexican flag has fields of green, white, and red. The green represents independence, the white stands for religion, and the red means unity. In the center of the flag is the Mexican coat of arms, which is based on an ancient Aztec legend. Many years ago the Aztecs lived in northern Mexico. They planned to move south to better farmland and believed that they would know where to settle when they saw an eagle, with a snake in its mouth, perched on a cactus. A day came when the Aztecs came to that exact location and built their capital – Tenochtilan. Mexico City now stands on the site of that great Aztec city, and the eagle has a permanent home on the Mexican flag. Make a blackline drawing of this flag and have the children color the coat of arms and then glue rectangles of red and green construction paper in place on each side of the flag. Hang the flags in the classroom. Continue with some basic science involving cacti – Mexican geography would be a lot different without them. There are over 1,000 kinds of cactus in Mexico. They are found in a variety of shapes and sizes – tall and skinny, short and fat, tree-like, barrel-like, button-like, and snake-like. Nearly all are armed with stiff, sharp spines. Cacti are succulents, which are plants that can survive without water for long periods of time. The spines protect the plant from desert animals that might prey upon them as a source of water. Bring several cacti in your classroom for observation and let the children enjoy these as a green garden in the room. 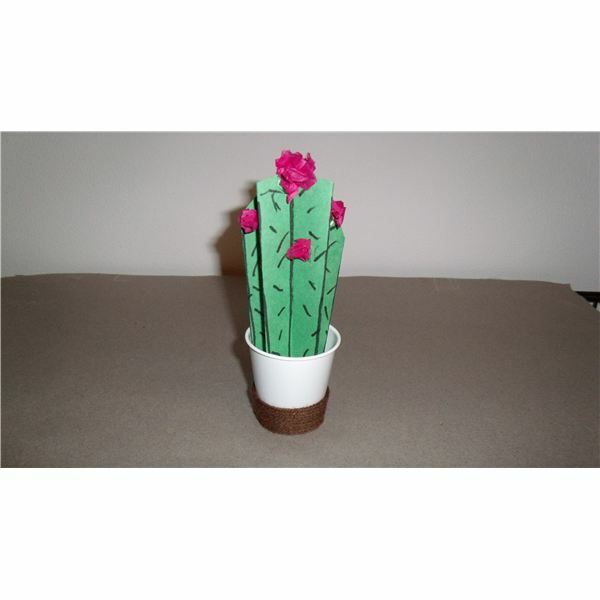 Together, have fun creating an art project where the students can make a paper cactus. Cut a sheet of green construction paper and cut it rounded at the top. Let the children use black crayons to draw spines. Then accordion-fold the paper (into tiny folds) and plant it into a paper cup. Stuff scraps of paper into the cup to hold the cactus up in place. Create cactus flowers by taking small circles of colorful tissue paper, pinching them into a ball, and gluing them onto the cactus. The cup can be decorated the Mexican way by painting it with white school glue and wrapping heavy yarn around it creating interesting patterns of color. People who live in the big cities wear clothes very much like we do, however, in smaller villages girls wear a colorful Mexican shawl called a rebozo and the boys carry serapes (colorful blankets) over their shoulders. You can have each student make a Mexican replica of this type clothing in the classroom. Ask parents to donate white sheets to your class. Cut the sheets into rectangles that fit either over the shoulder for boys or around the back of the girls like a cape. 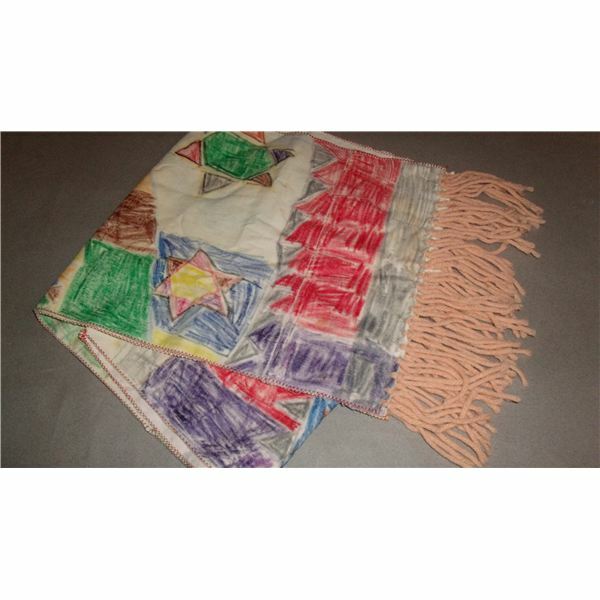 Using crayons or markers, invite the children to decorate this piece of clothing and wear them when finished to add a flair of Mexico in class. Note: If you want these pieces of clothing to last and be able to be washed, use fabric crayons/markers and follow the instructions on the package. A yarn fringe can be easily made by punching holes into the fabric and knotting small pieces of yarn through the holes. Have a day celebrating Mexico in your classroom! When studying about countries, make sure to include information about the land, the people, the culture, and simple words in their native language. Your students will enjoy learning diversity (the similarities and differences) amongst children in other countries.